Lines from well-remembered films, are part of the currency of our everyday speech. Cinematic scenes are unforgettably etched in our minds. Yes, we don’t just watch movies, we internalize them. How many times your experience of a movie was very different from the reviews you read? You wonder if they were written more objectively and someone like you could tell what to expect? Here is an attempt. 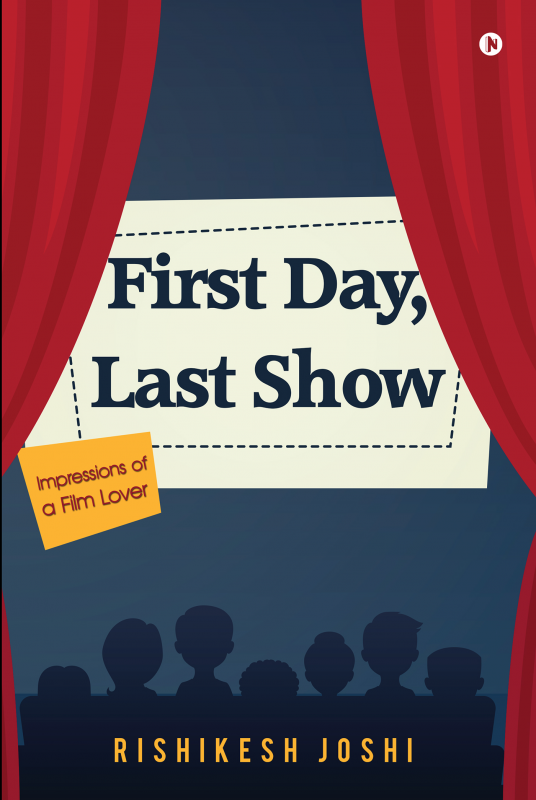 First Day, Last Show takes you through an engrossing journey of movies seen through the eyes of a common cinemagoer. The book is a bouquet of impressions about films gathered over a period of four years. You will relate to these reviews easily, even if you have not seen the movie earlier. If you love movies, you will love reading this book. An engineer by profession and a writer at heart, Rishikesh had been writing for over a decade. While many of his works have been published in magazines and newspapers, this book attempts something different. An avid cinema goer and traveler, he has been journaling experiences in a style of his own, often laced with touch of humor. This book draws on his experiences as a cinema goer. Rishikesh lives in Mumbai and works for an Indian multinational as a Senior Executive. He has been successful in finding time for his literary pursuits between the demands of a corporate job.